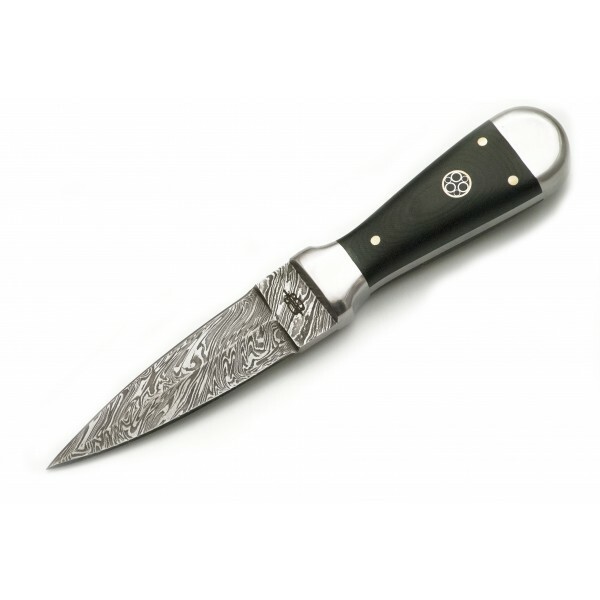 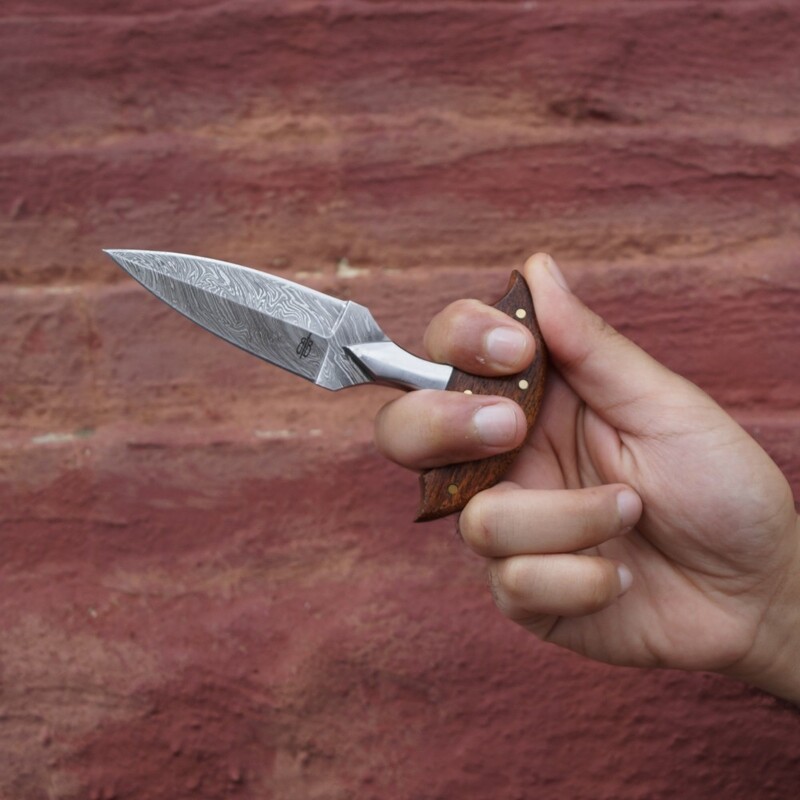 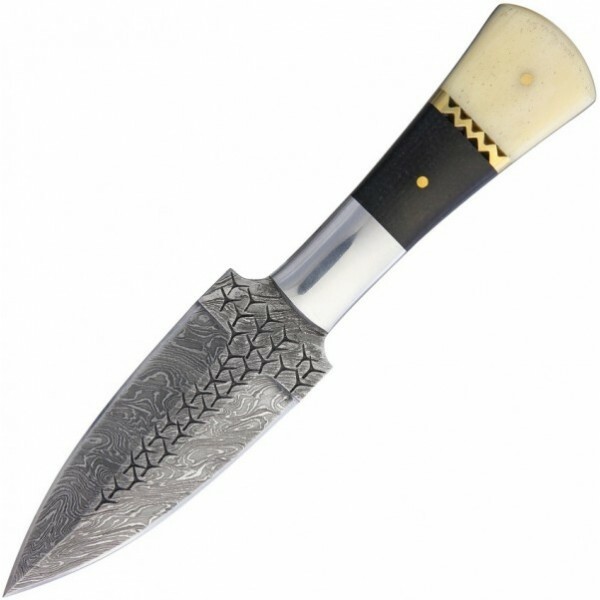 This Buck n Bear push blade knife features a 256-layer Damascus (1095 & 15N20) stainless steel double-edge dagger blade with a bevel compound grind. 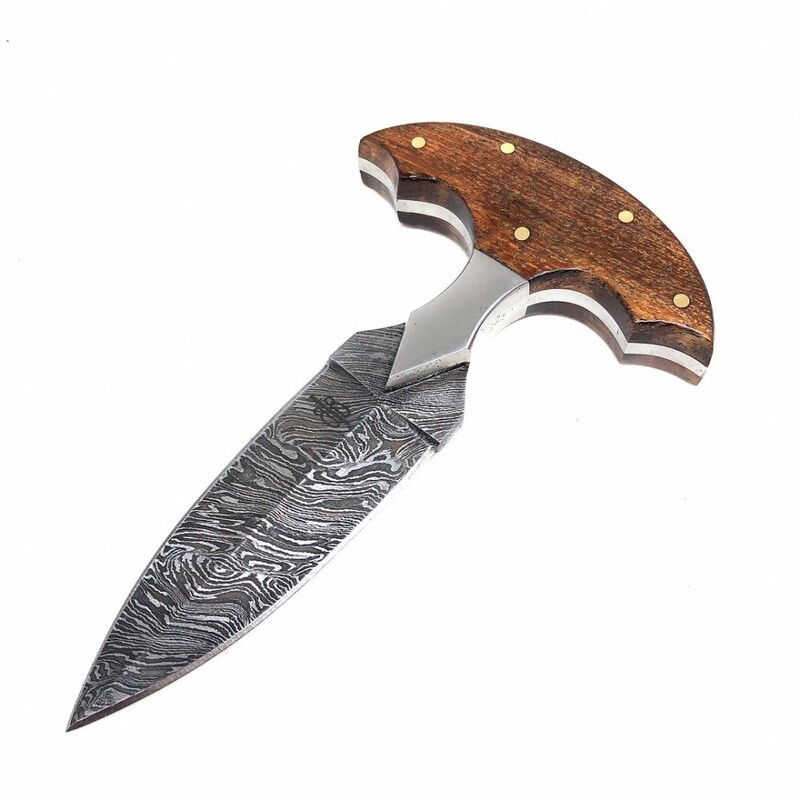 The handle features polished walnut scales and bolsters with brass pins. 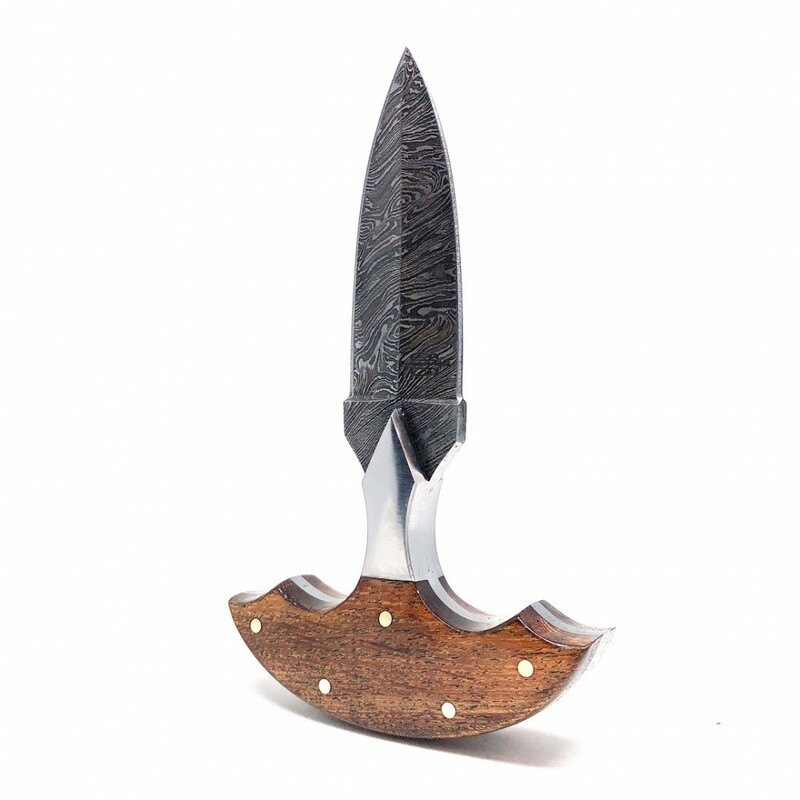 The handle with its finger grooves fit comfortably between the fingers and nicely against the palm. 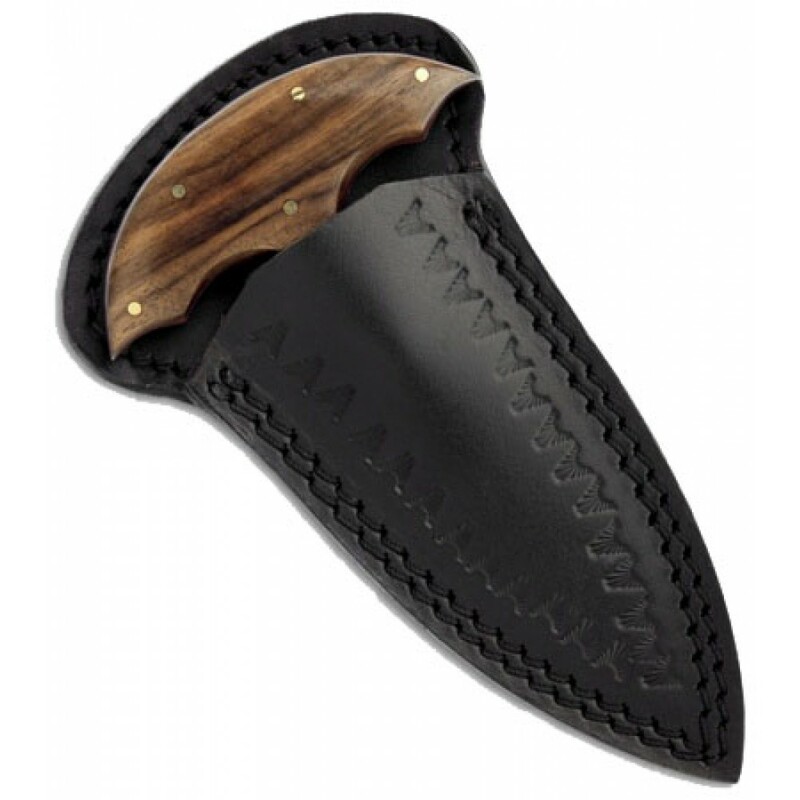 Includes black premium leather sheath.